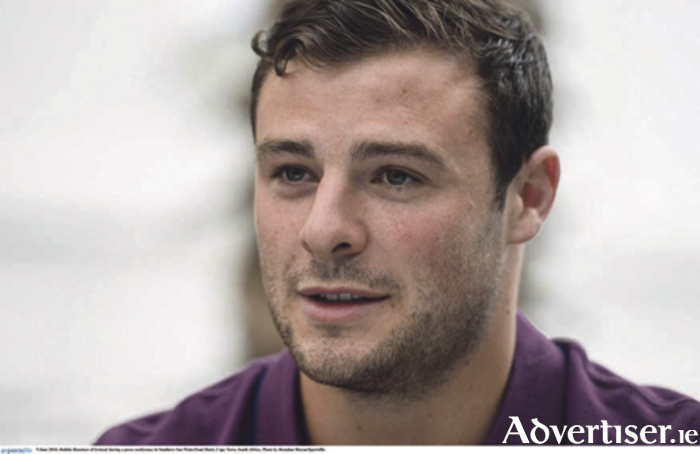 Buccaneers Rugby Football Club is proud to host a night with Robbie Henshaw in The Bounty on Friday, September 30. Robbie will be interviewed by RTÉ rugby commentator Michael Corcoran on his rapid rise from fledgling schoolboy and Buccaneers player to winning the PRO12 title with Connacht and becoming an international rugby star playing for Ireland in the Rugby World Cup. There will be time for some questions from the audience also. The event begins with a barbecue and will continue with music by the Henshaw family, with Robbie displaying his musical prowess too. Tickets are now on sale at the club. Call (086 ) 1732711 or (090 ) 6477566. Numbers are limited for what promises to be a club night not to be missed, so buy your ticket early.